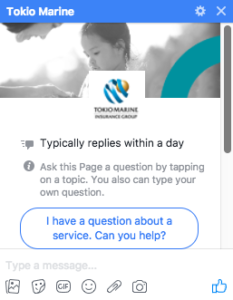 Tokio Marine Life Insurance Singapore, the only Japanese life insurer in Singapore, launched the recruitment function in the latest phase of its TOMI chatbot (short for Tokio Marine Insurance). 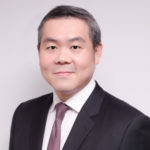 This makes TOMI the first chatbot in Singapore to support an insurer’s recruitment process, on top of being the first self-learning AI chatbot in Singapore that makes life insurance more accessible to the public. Aimed at enhancing the insurer’s engagement with today’s digitally savvy generation in recruitment, TOMI now answers more than 300 questions on how to pursue a career as a financial adviser. It also provides information that is typically not accessible to the public, including required qualifications, the training involved and even hiring preferences. The chatbot continues to be accessible at all times through commonly-used social media platform Facebook Messenger. 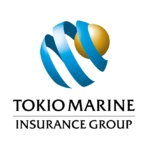 To help users who are uncertain about a career in insurance, TMLS introduced a short interactive quiz on TOMI that briefly evaluates the user’s interests and personality. TOMI also now provides information on upcoming recruitment events, organised multiple times a year, to encourage interested individuals to personally engage with TMLS. To access TOMI’s recruitment function, users may go to TOMI’s main menu and select the tab “Ask Career”. Alternatively, the function can also be accessed via the “Ask Career” section on the main menu of TOMI.